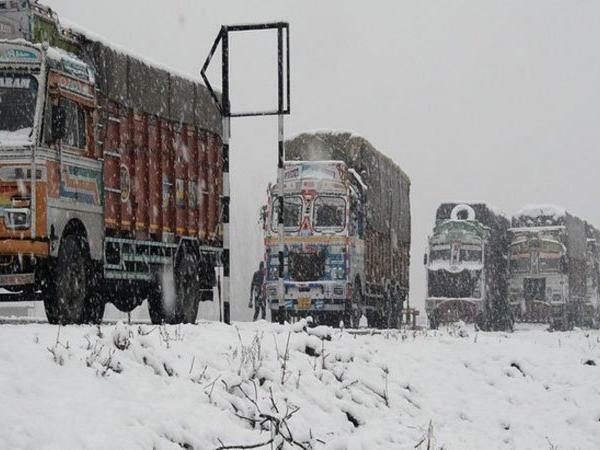 Srinagar: Ten people were reported missing after an avalanche hit the Jammu-Srinagar highway. The strategic 300 km-long road remained closed for the third consecutive day on Friday due to heavy snowfall and landslides, police said. According to police sources, the avalanche hit a police post near the Jawahar Tunnel on Thursday evening. The missing people comprise six policemen, two fire service personnel and two prisoners. A search and rescue operation began shortly after the avalanche but bad weather condition has hampered the efforts, the sources added. Meanwhile, no traffic was allowed on the highway on Friday due to multiple avalanches in the Bannihal sector and landslides in the Ramsoo-Ramban area.